Posted On September 12, 2016 by &filed under Legal Articles. In 2008, India’s Defense Research and Development Organization (DRDO) purchased three Embraer aircraft from the Brazilian aeronautical company Embraer S.A. for building indigenous Airborne Early-Warning and Control Systems (AEW&C) for the Indian Air Force. 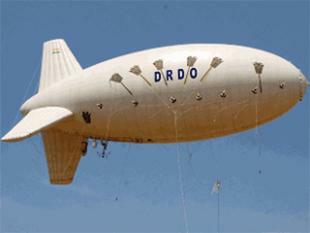 Last week, international media reported that this $208 million deal with DRDO and another deal with a company in Saudi Arabia are being investigated by the US Justice Department under the Foreign Corrupt Practices Act. The question that comes to one’s mind is why should the US Justice Department investigate corrupt practices of a Brazilian company in India and Saudi Arabia? The Foreign Corrupt Practices Act, 1977 (FCPA) was enacted by the United States Congress to prevent US Companies from bribing foreign government officials. This statute grants a broad jurisdiction to the officials of U.S. Department of Justice (DoJ) and U.S. Securities and Exchange Commission (SEC) to enforce prohibitory regulation over corrupt payments to foreign officials by an issuer, domestic company or a foreign national or business.1 The statute defines an issuer to be a corporation who is required to file periodic reports with the Securities and Exchange Commission (SEC) or that has issued securities registered in the United States.2 As per the definition, even a foreign company that lists shares on US Stock Exchanges is covered. It is normal for any anti-corruption statute to cover domestic companies and nationals but the FCPA has an abnormally wide jurisdiction to call it a near universal jurisdiction. Entities rarely challenge the aggressive jurisdictional position, in lieu of the intense pressure to disqualify the FCPA charges, though the majority of the cases are settled outside the courtrooms. It is quite appalling that premier Indian agencies like Central Bureau of Investigation (CBI), Central Vigilance Commission (CVC) and the Comptroller and Auditor General of India (C&AG) failed to unearth the corruption and mismanagement in these multimillion dollar contracts which happened on Indian soil while a foreign agency located on the other side of the world was able to. 7 Court Docket Number – 13-CR-515. This article is co-authored by Ms. Tanya Goyal.